John and Roberto return to Westworld to discuss Episode 04, “Dissonance Theory!” Is Dr. Ford’s new narrative the story of Noah’s Ark? Are Bernard and Dolores meeting in a virtual world? Is Teddy’s past intertwined with the Man in Black’s destiny? 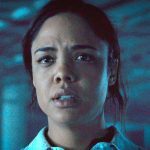 What will Maeve do now that she knows she’s not going mad? Can Logan be any more of a jerk? We ponder all these questions and more, plus your feedback, in our latest episode!